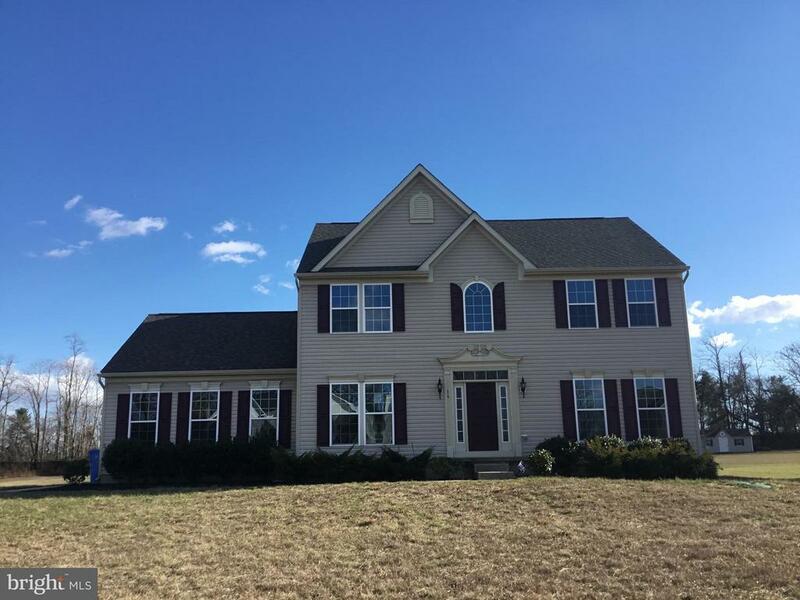 All Swedesboro homes currently listed for sale in Swedesboro as of 04/20/2019 are shown below. You can change the search criteria at any time by pressing the 'Change Search' button below. If you have any questions or you would like more information about any Swedesboro homes for sale or other Swedesboro real estate, please contact us and one of our knowledgeable Swedesboro REALTORS® would be pleased to assist you. "Horse Farm, 80X40' Commercial Grade Utility Building with three 14' Bay Doors, Indoor In-Ground Heated Pool, tidal creek with dock! What more could one ask for? 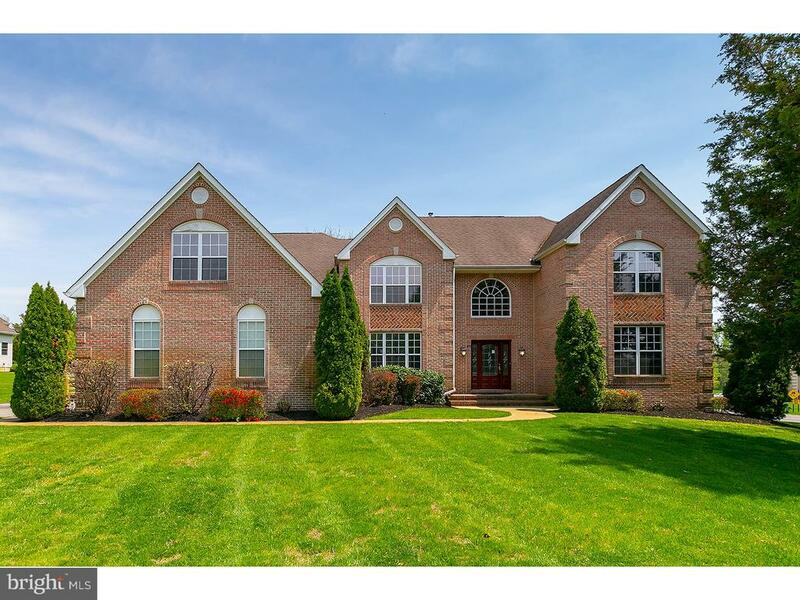 The main home is a 4 Bedroom, 2.5 Bath brick colonial. Large 2-story kitchen with cherry cabinets, granite countertop, large center island, stainless steel appliances, and a heated tile floor. Oh, did we mention the Two-Story Stone Fireplace? There is also a barn with three stalls, tack room & paddock, a lighted riding ring. Shall we go on with even more features? Dog kennel, KOI pond, chicken house, 25X15' workshop with 200 amp electric. Duck hunters strongly desire this location and the current owners get premium duck blind rent. 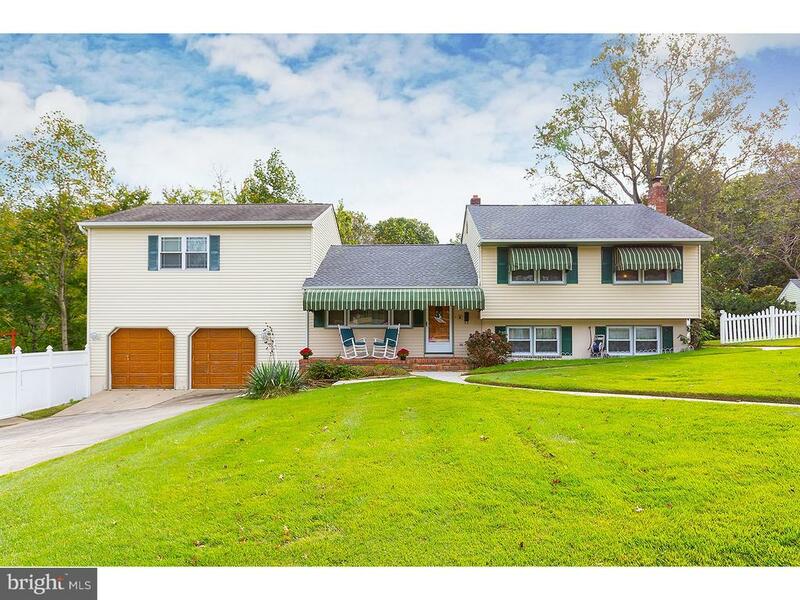 The property is close to Route 295, about 15 minutes from both the Delaware Memorial Bridge and Commodore Barry for quick access to the Philadelphia area. This sale contains the following parcels: 300 Pedricktown Rd block 2801 lot 14 = 3.38 acres with the residence; Cedar Ln block 2801 lot 13 = 2.72 acres; Pedricktown Rd, block 2801 lot 12 = 8 acres; Logan Ave,block 2801 lot 10 = 27.27 acres (Previous list price was starting bid of an auction which did not obtain the seller reserve.)" 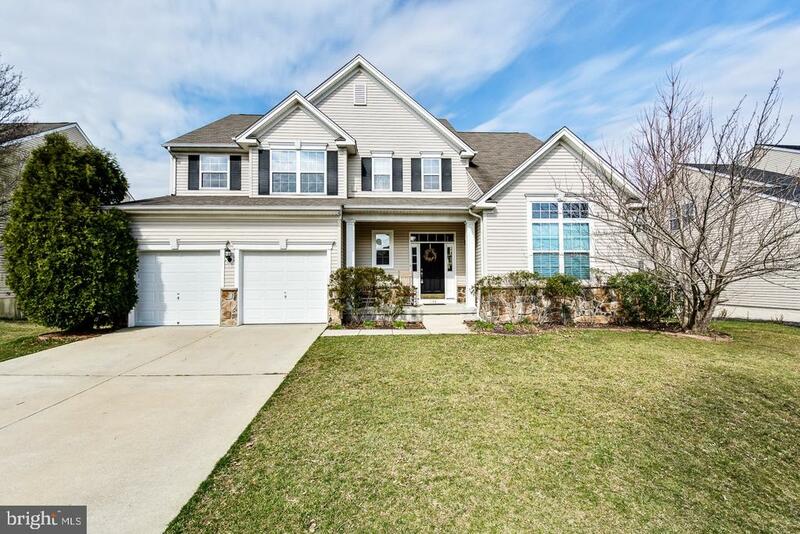 "Beautiful 4 bedroom, 4 1/2 Bath, 4,000 Plus Square Foot Home that is great for entertaining is situated on 1 Plus acre that offers a New Roof (2016) a Heated Gunite Inground Pool, Dual Zoned HVAC, 3 Car Garage, 2 Staircases, Full Finished Basement that offers approximately 2,000 sq feet of added living space, a Full Bathroom & 3 of the rooms in basement are used as the 5th, 6th and 7th bedrooms. Home also features a separate sound proof, 2 story Building w/ music studio or space for a office w/ electric & network (Building approx 800 sq feet). 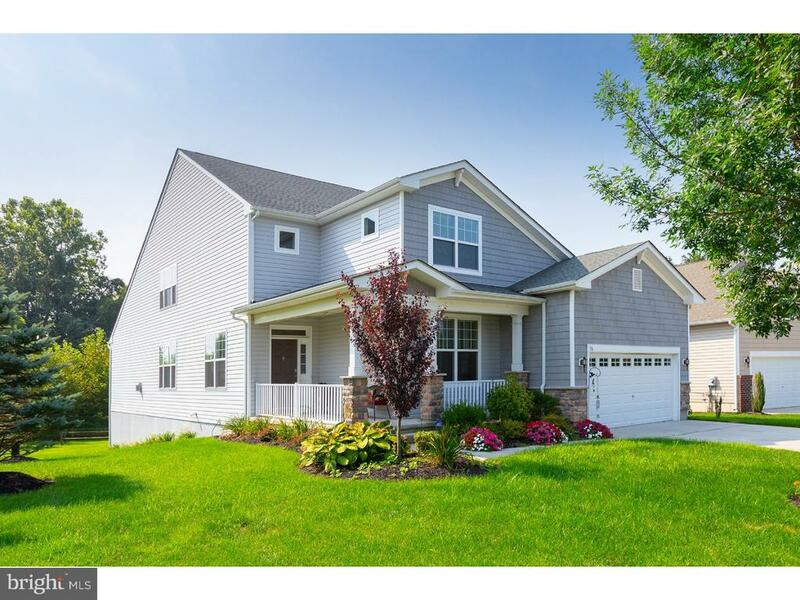 Home features a story foyer w/ columns/pillars, hardwood floors & recess lighting. There is a large din rm & large liv rm both w/ crown molding. Home offers a well-equipped large eat in kitchen featuring tile floors, 2 ovens, Kitchen Island, Tons of Counterspace & Cabinets, Gas Cooking, a Double Sink, Microwave Oven & Pantry. Kitchen also features tile flooring, a wet bar/butler's pantry, a 2nd eating area, a 2nd stairway & an open lounge area w/ views of your back yard oasis. Off of the kitchen is a large fam room w/ beautiful 2 story stone fireplace. First floor offers a beautifully tiled powder room, an office & a billiard/game room w/ double doors leading to that amazing yard. The large Master bedroom w/ trey ceiling features a 2 sided fireplace, a sitting area & deck off of sitting area where you can enjoy your morning coffee. There are double doors leading to the large master bathroom w/ beautifully tiled floors, a Jacuzzi Tub, a Huge Tiled Shower & the comfort of the fireplace. The Master features a 2 Room Walk-In Closet. The 2nd bedroom offers it's own full bath w/ tub & shower. The 3rd & 4th bedrooms have a Jack and Jill Bathroom w/ a double sink, tub & shower. The upstairs offers a great view of 2 story fam rm w/ stone fire place as well as a view the 2 story foyer. As mentioned, your full finished basement offers a full bath & the 3 bedrooms are all cable ready. The basement offers a large viewing area for the B"
"Welcome Home to Nature's Walk in beautiful Woolwich Township, and this 4700 sq/ft Brick Front Colonial Style Executive Home. Step inside the 2-story foyer, and take in the open concept layout that offers enough space for all of your needs. Ornate Millwork throughout including Headers, Crown & Shadow Boxing, the main living level offers a formal dining room, formal living room, Office / Study (or 1st level In-Law Suite) with nearby Full Bathroom, Spacious Kitchen with Granite Counters & New STAINLESS APPLIANCES, Two Butler's Pantry's, Center Island w/ seating, a full breakfast room w/ Sliding Glass Door access to the back yard, open to the Family Room with Vaulted Ceiling, and a Sun Room with cathedral ceiling & views to the back yard & wooded space beyond; This level also offers a large Laundry Room w/ additional access to back yard and to the 3-Car garage. The 2nd level boasts an enormous Master Suite with Coffered Ceiling, Front & Rear Sitting Rooms (or Nursery), Multiple Walk-in Closets, and a full ensuite bathroom with Vaulted Ceiling, Soaking Tub, Stall Shower, & Double-Sink Vanity; The 2nd Bedroom is a Princess Suite with Walk-In Closet & full ensuite bathroom; This level offers two more generously sized bedrooms, plenty of closet space, along with another full bathroom. Back yard is fenced in and offers a two-level deck & in-ground sprinkler system. 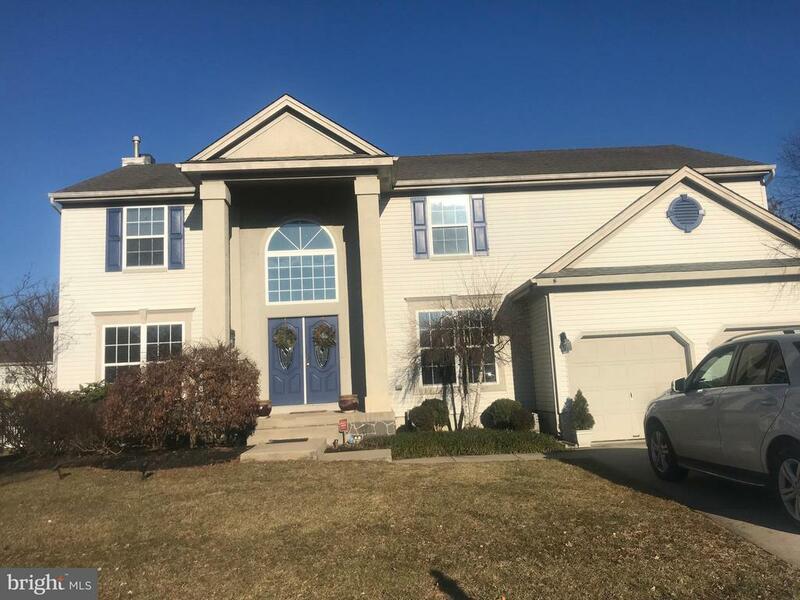 Brand New Roof; New Hand-Scraped, Wide-Plank Hardwood Flooring through most of main level, new carpet throughout the 2nd level, ceramic tile flooring foyer through kitchen & all bathrooms. *** Interior photos with furniture, and exterior photos with pool and furniture are Virtual Staging Photos." "Welcome home to this stunning move-in ready property in Woolwich Township! As you enter this gorgeous house, you~ll notice that the elegant two-story property comes complete with beautiful hardwood floors and a sweeping hardwood staircase. You'll be sure to take notice of the elegant dining room and the formal living room located on the first floor. The gourmet kitchen has custom 42~ cabinets along with moldings, granite countertops, and stainless steel appliances. This kitchen is made for entertaining with a genius-sized island, walk-in pantry and a butler~s pantry/wet bar with its own sink. You~ll find French doors and windows across the entire back of the home, spanning out from the breakfast room to the family room. The wall of windows provides natural light and breathtaking views of the nearly 2-acre property. Two wooden staircases take you to the second floor which overlooks the first-floor family room and entry. The master bedroom has recessed light, a generous walk-in closet, and a separate sitting room. It also includes a private upgraded bathroom with a stall shower, private water closet, and soaking tub. There are 3 more bedrooms located on the second floor: one bedroom has a private bath, while all of them have a generously large walk-in closet. Back on the first floor, you will find another full bath and office which can be converted into a possible fifth bedroom. All bathrooms have been upgraded with warm natural stone tile and granite. The huge unfinished basement offers endless possibilities for use. In total, this home features four bedrooms, four baths, and a two-car garage. This must-see home will not last long! Schedule a tour today." 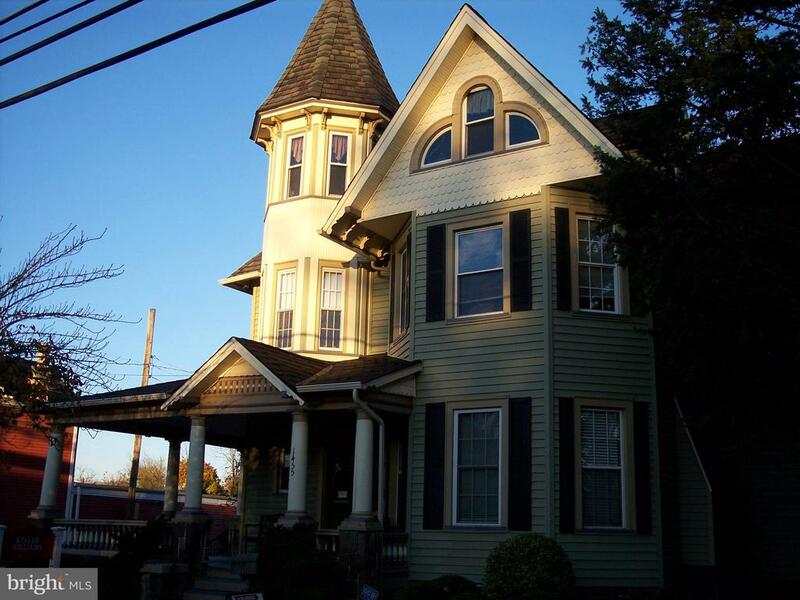 "A Beautiful Victorian home with a semi-wrap around porch in downtown Swedesboro. Each room is extremely spacious as you would expect in a house of this stature. This home would be great for entertaining as it has a large kitchen and multiple rooms that can be used for dining/entertaining. As with classical homes there are plenty of crafted builtin storage spaces to use. In the back of the house, there is a cozy deck to enjoy the morning cup of joe or tea. Between the amount of space, Stained Glass windows, beautiful wood molding, there is so much in this house that would make living here a pleasure. Come see this home. Close to Wilmington, Philadelphia, & Cherry Hill areas. *This is zoned Commercial, Buyer must confirm the end use with the township.At one time this building was used as a Duplex. According to the Twp. Residential use is authorized ( USE MUST BE CONFIRMED BY THE BUYER with the Twp.)" "Fall in love at first sight ~ with your new home! 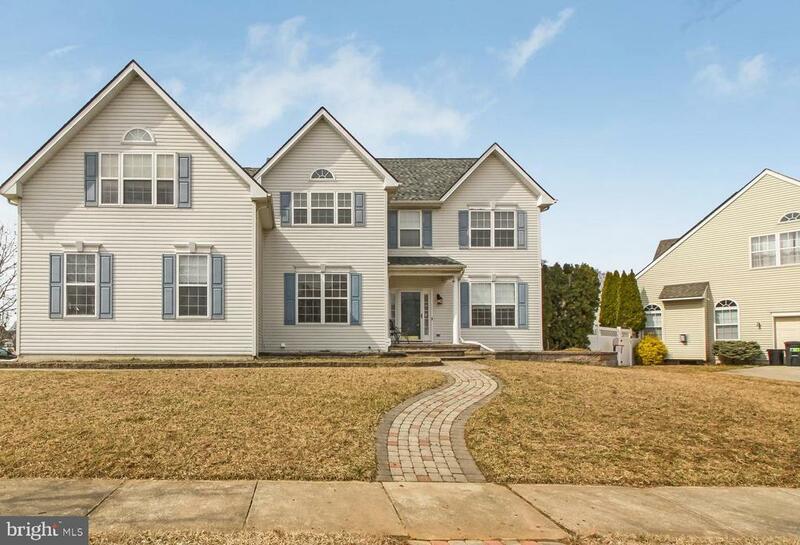 Sunlight fills every room of this sparkling 4BR/2 full bath/2 half-bath Swedesboro gem. Cul-de-sac location in tranquil executive neighborhood adjacent to hundreds of acres of open space. Three-car garage and luxury finishes and details everywhere you look. Two-story entry foyer flows over gleaming hardwood floors into the spacious open-plan living room and dining room, ideal for entertaining family and friends during the holidays or any time. Your sparkling modern kitchen has the latest stainless steel appliances, storage galore, a convenient serving island and great views of your large, flat fully-fenced back yard with its stone patio and plenty of room for fun and games, or simply relaxing. Vaulted-ceiling family room perfect for ~together time~ and a brightly lit office (or studio) complete the first floor. Your beautiful full-size finished basement features great entertainment and relaxation spaces, wet bar and powder room. Upstairs, life happens in four expansive bedrooms illuminated by natural light, with generous closets and storage. MBR has everything you have been dreaming about, en-suite double-sink bath and spa, walk-in closets and enough breathing room so you can decompress after a full day! All of this in the highly rated Kingsway School District, close to Phila, Cherry Hill and Delaware!" "Welcome Home! 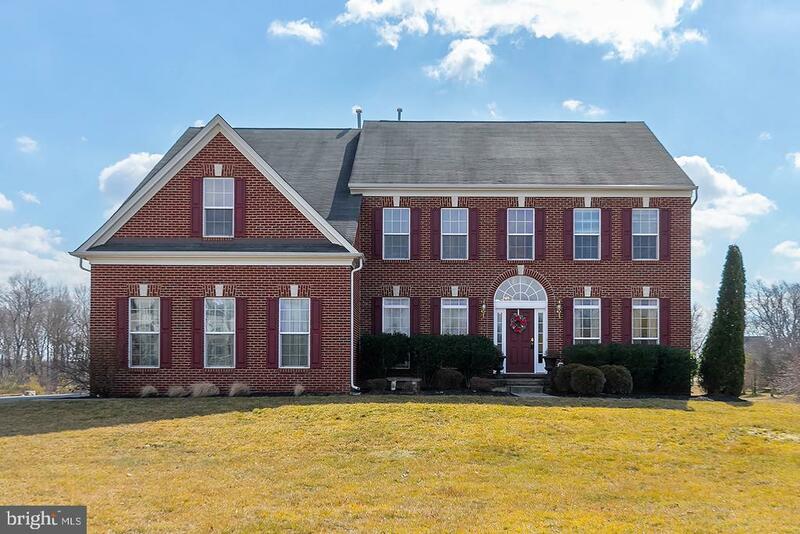 Executive Style, Brick Front Colonial Home available in desirable Estate's At Maple Glen . 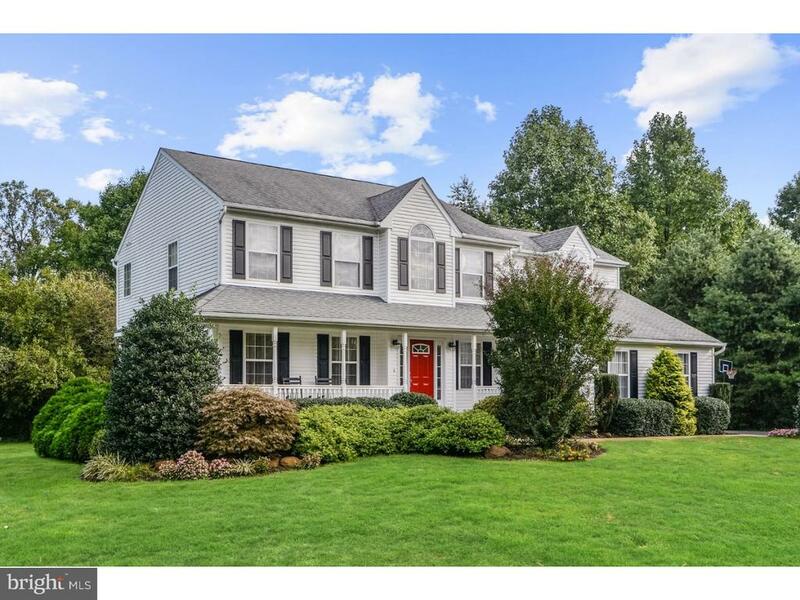 Great location, set in rolling green countryside, yet only minutes to NJ Turnpike, Rt 295, and close to area bridges, this quiet, peaceful place is an easy commute to anywhere! Step inside the grand 2-story Foyer, and take in the open concept floor plan - and you know you have plenty of space for everyone. The foyer is bracketed by the Formal Living Room w/ Crown Molding and Formal Dining Room w/ Crown Molding and decorative Chair Rail, and offers Brazilian Cherry Hardwood Flooring that carries past the ornate double staircase, and into the grand, 2-Story Family Room, sun-drenched & full of windows, overlooking the back yard and the country side beyond. The family room is open to massive Chef's kitchen, boasting Center Island with seating, a Home Work Station, a Butler's Pantry, and a Walk-In Pantry, plus double wall ovens, a new cooktop, new Granite Counters, and a Breakfast Room with Sliding Glass Door access to the elevated Deck. This level additionally offers a Laundry Room w/ access to the Side Entry Garage, a powder room, and a 1st Floor Study / Home Office. Upstairs offers a large Master Bedroom Suite with Plenty of Walk-In Closet space, a sitting room, and a full, ensuite bathroom boasting Double Vanities, Jetted Soaking Tub and shower; Bedroom 2 also offers an ensuite bathroom and Bedrooms 3 & 4 share a full hall bathroom. The Daylight, Walk-Out basement is partially finished with an additional 500 (sq/ft +/-), with full view windows and a sliding glass door access to the back yard, plus a rough-in for a future full bathroom update, and still has plenty more space for additional finishing and/or storage. This property comes with a One Year 2-10 Homebuyer's Warranty!" "This one's a cut above! 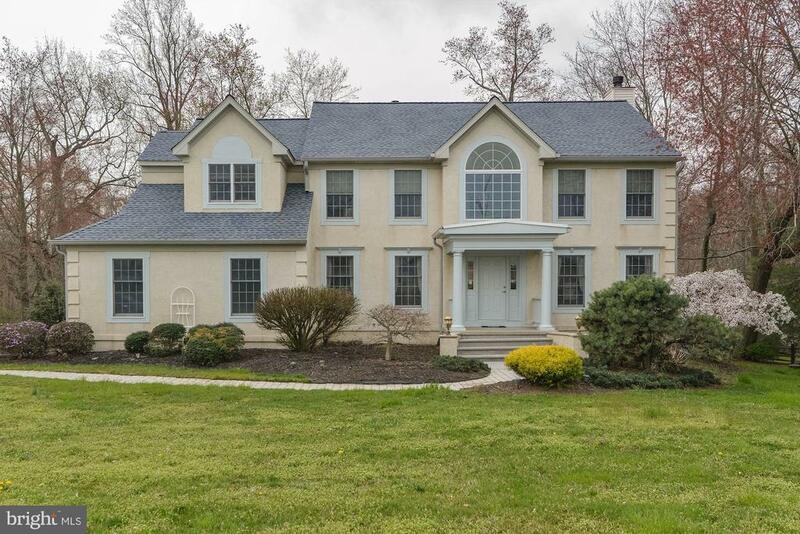 Distinguish yourself in this beautiful UPDATED colonial. The pictures speak for themselves. Grand Two-story foyer welcomes you with a living room to the left and a formal dining room to the right. A large den w/ fireplace leads to a beautiful kitchen. The kitchen includes recessed lighting, brand new quartz countertops (more durable then granite), new hardwood flooring and new stainless steel appliances. A large office can be used as a 5th bedroom or just space for him. Spacious master bedroom is a dream come true w/ a large sitting room and WIC. Master bathroom has separate tub and shower w/ double vanity. Brand new flooring throughout and freshly painted in the latest colors! Brand new hot water heater. 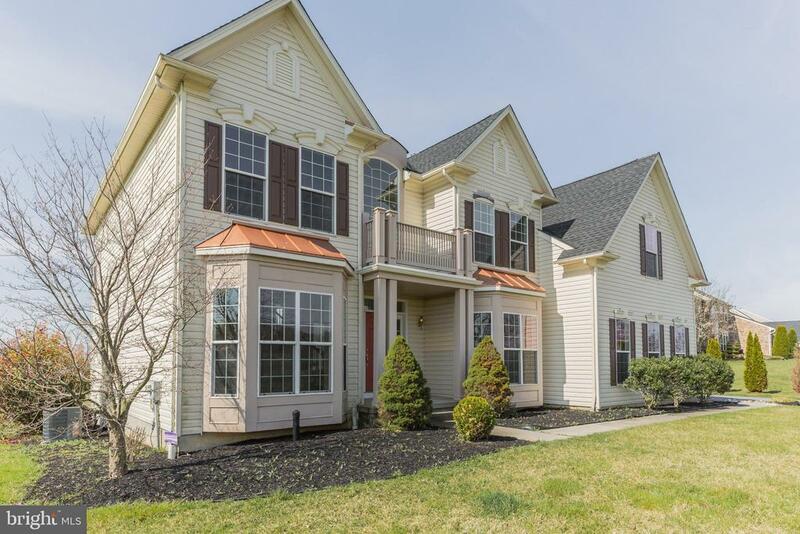 Enjoy peaceful, suburban living system in Woolwich Township while still living in an area convenient to shopping, dining, parks and major commuting routes to Delaware, Philadelphia, and Atlantic City. This home will NOT last long!! Make your appointment today!! What a beauty! ''Because you deserve it!''" "Price Reduction! Check out this Beautiful 3,000+ sq. ft. Contemporary Designed Home situated on a corner lot with a three car garage in the highly desirable neighborhood of Westbrook in Woolwich Twp. When entering through the front door, you will find the foyer area that features hardwood floor, view of the dual stair case leading up to the second floor. Off to the left of the foyer, you will see the Study/Den along with a half bath slightly down the hallway.. To the right of the foyer, you will see the spacious living room featuring hardwood floors, four windows, and crown molding. The living room leads into the dining room with hardwood floors, crown molding, with chair railing. Enter the kitchen in area that features upgraded ceramic floor tiles, center island with plenty of storage space, stainless steel appliances, central vacuum, and kitchen pantry. From the kitchen area, walk out sliding glass door onto the 17x10 brick paver patio. The family room is located just off the kitchen and includes walk-in coat closet with racks, carpet flooring, large decorated arc windows, cathedral ceiling with two skylights, gas fireplace, surround sound, and sliding glass door leading to the 12x14 brick paver deck. Walk upstair using either of the dual stair cases onto the hardwood floor hallway that includes central vacuum system, three spacious bedrooms with ceiling fans and nice size closets in each room. Walk down the hallway leading into the master bedroom that is very spacious. The master bedroom features THREE walk in closets, cathedral ceiling with ceiling fan, large sitting room just off the master bedroom, master bath with sunk in tub and shower, dual sinks with tile flooring. Laundry room is located on the second floor. When walking down to the finished basement you enter into a foyer area that includes a wet bar set up (hot/cold water rough in) and half bath. There is a 16x23 area that is currently being used as a media and entertain room, a separate room that c"
"Come See this meticulously kept, 6-year young Jefferson model. 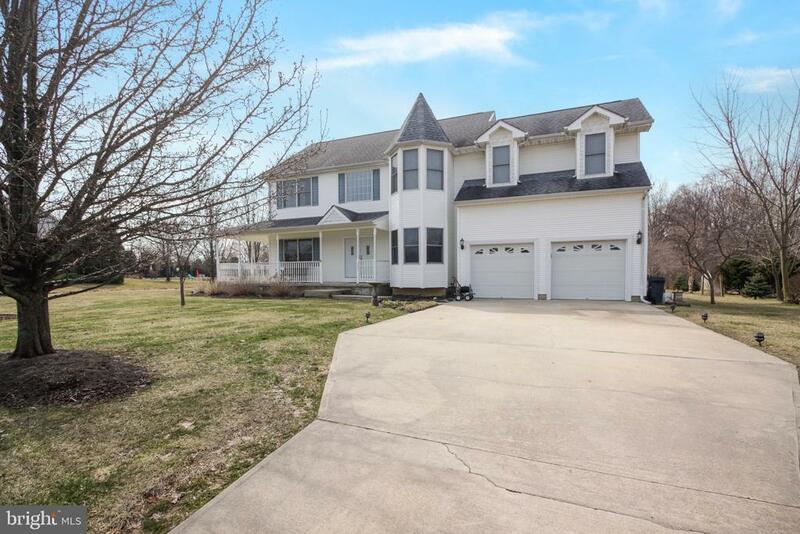 This house boasts over 2,900 sq.ft, that doesn't include a spacious finished basement. This Energy Star? home features 5 bedrooms and 4 full bathrooms. The grand two story foyer welcomes you to the open concept dining room and formal living room. This home also features solid oak flooring , custom trim package that includes wide crown molding, shadow box and chair rail. The open floor plan continues to the eat-in kitchen with center island, 9 ft. ceilings, granite counter tops, 42 cherry cabinets and recessed lighting throughout. There is a bedroom on the main level, along with a full bath. Walk out from the kitchen, you are greeted by a custom built 20' x 20' Trex deck, with built-in lights on the rails and stairs, with a big-sky view of the pond. This is the perfect setting for a summer barbecue. Upstairs has 3 large bedrooms, 2 full baths, laundry and large office/entertainment area. The master bedroom boasts a huge sitting area, California closet and recessed lighting. The master bathroom has 2 vanities, stand-up tile shower with glass doors, and tile floors. There are so many upgrades to this home, hardwood floors, shadow box and chair rail, tankless water heater, modern PEX plumbing, five-zone sprinkler system, professionally landscaped yard located in a great neighborhood with an excellent school system. Conveniently located close to shopping and restaurants and your major bridges, NJ Turnpike and 295." 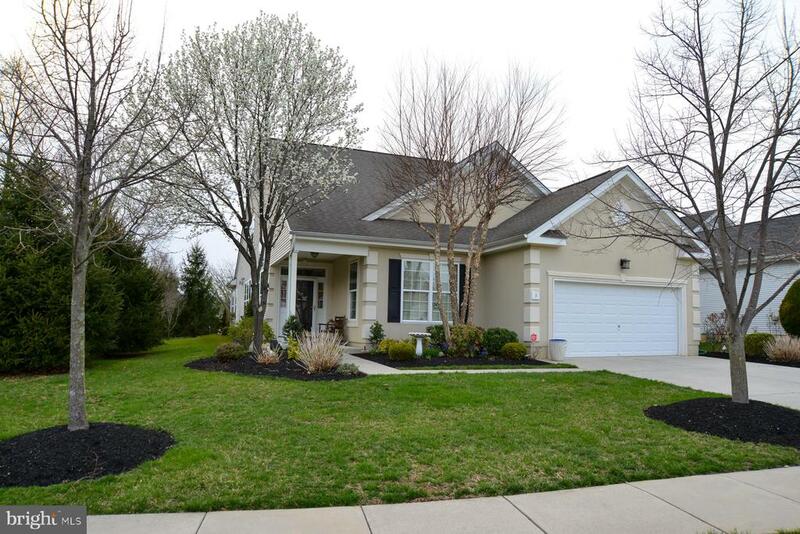 "Colonial Home located in beautifully manicured Lexington Hill community. 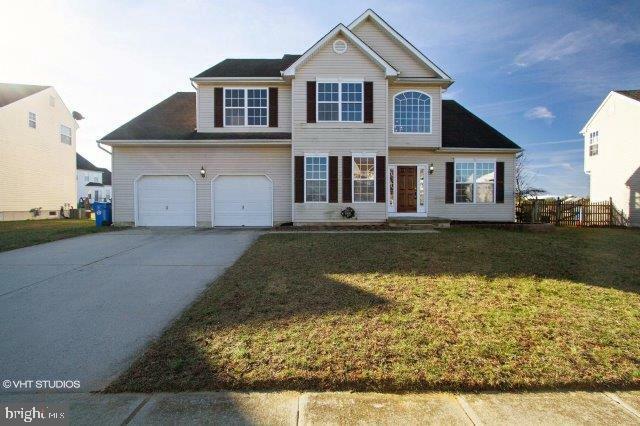 This spacious 4 Bedroom, 2.5 bath homes is perfect for entertaining. Picturesque staircase in entry foyer, open floor plan and large rear covered patio are a few of this homes many features. Add your creativity to the exansive basement to create your own personal oasis! Minutes to major highways, shopping and schools." 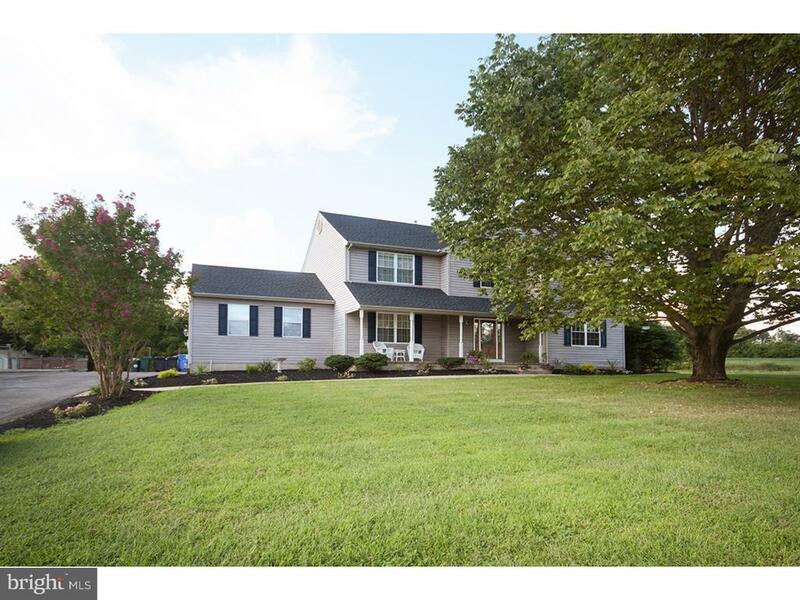 "Come check out this amazing Colonial Style home in sought after Creek Side Estates! When you tour this home, you will immediately know that it is the one for you. Your new house features a wrap around front porch in the front, and a 24X10 concrete patio in the back. It sits on a 1.01 Acre, (145~ X 294~) lot that is backed up to farmland preservation; you never have to worry about something being built behind your house. The house has 4 bedrooms with 2.5 baths and has two fireplaces, one gas and one wood burning. The foyer includes an exquisite Italian Crystal Chandelier, with matching sconces in the upstairs hallway. There is a laundry Shute 2nd floor to laundry room for convenient clothes disposal. All bedrooms have mirrored closets with the exception of the Master. The Master bedroom is quite large, (45~ X 16~) with two walk-in closets, and an extra attached room to be used as you desire. The basement is full 8~ poured concrete walled that is 9FT high; it~s supported by steel beams and an engineered silent floor system. There is also rough plumbing installed for an additional bathroom. The exterior of the house has a French Drain surrounding the house, and a professionally installed in ground sprinkler system. Talk about location, this property has it! Very convenient to all major schools, (of which are some of the best in South Jersey) and within 5 minutes from the New Jersey Turnpike, Route 130 or I-295. There~s a lot of house for the money. Newer appliance package included, the heating unit, a 95+ energy efficient Gibson, is less than ten years old. New carpet, paint and light fixtures throughout the home. Welcome to your new Home!" "Look no farther, this is the one. 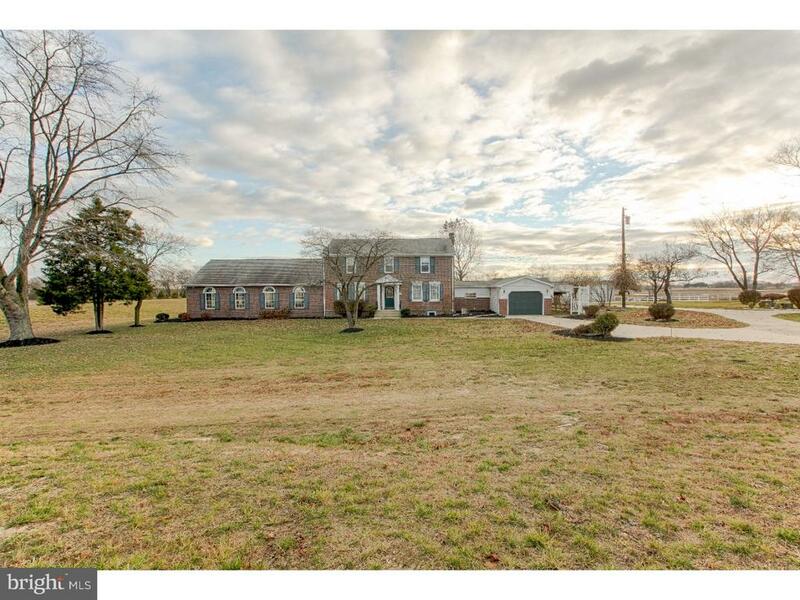 This gorgeous home sits on 1.13 acres on a quiet cul-de-sac. Enjoy entertaining on your private deck overlooking the tree lined backyard. Kitchen boasts stainless steal appliances, Cherry cabinets w/pull out shelves, along with a custom tile backsplash. Step down to the family room and cozy up to the wood burning fire place and vaulted ceilings. Gather for Holiday dinners in the formal dining room featuring crown molding and a large bay window with seating. Upstairs the master bedroom is an oasis with vaulted ceilings, and a walk in closet. Let your day unwind while soaking in the master garden tub. Additional info: Phenomenal Schools, conveniently located close to major highways. New septic field bed was installed in 2014, well pump in 2015. Hot tub is negotiable. Make your appointment today." 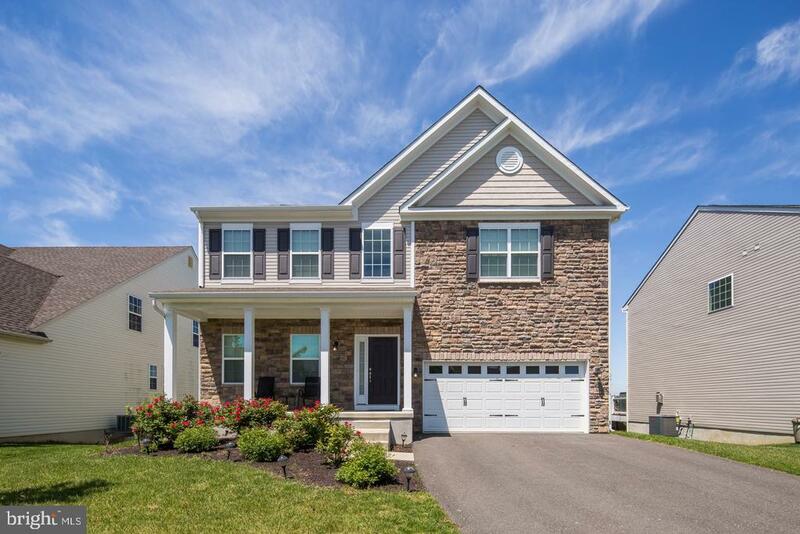 "Looking for a home that is better than new construction and has plenty of room (over 5,000 s/f with basement) for friends and family? Welcome to 16 Wilshire Blvd!! LOADED with upgrades, only 7 years old, and located in the highly desirable Four Seasons community, this huge 4 bedroom home has it all! Set on a premium corner lot overlooking one of the community ponds, this home is designed to entertain! As you enter the front door, your eye is drawn to the wide open modern floor plan. A 2-story Foyer and grand oak staircase greets you with handsome Gunstock oak flooring running throughout the home. The remodeled Kitchen features beautiful granite countertops, 42 maple cabinetry, an enormous serving island with sink, stainless appliances, and a custom stone backsplash. The Family Room is open to the Kitchen and boasts 5 windows overlooking your backyard with privacy trees (a rare thing in Four Seasons) and a glass French door that leads you to the 2-tier deck. The Master Bedroom features 2 walk-in closets, a Master Bathroom with separate his and hers sinks and a large walk-in seated shower. Moving upstairs to the second floor of the home, there are 2 bedrooms, a storage room, a full bathroom and a second Family Room with balcony overlooking the Kitchen and Family Room area. Downstairs, you will find the fully finished GIGANTIC walkout basement..... perfect for a wine room ,pool table, man cave...or all 3! Other upgrades throughout this wonderful home include 5 base molding, gas fireplace in Family Room, recessed lighting package, wiring for a backup generator system, dual HVAC system, split stone exterior, 2-car garage and custom blinds. This exclusive 24-hour gated community has so many amenities to offer ... just a few are the numerous walking trails, tennis courts, clubhouse and in-ground saltwater pool complete with hot tub! Better hurry before this fabulous home gets away!" "*** UPDATE *** Kitchen recently updated, stainless steal appliances and the home will be sold with a NEW SEPTIC SYSTEM! ( A 20 - 25k Value ) THERE'S NO PLACE LIKE HOME!!! As soon as you walk through the front door of this STUNNING 2-story Colonial, you will know you are HOME. Many recent upgrades such as New roof (2016), 2 zoned high efficiency heating and air conditioning with new high efficiency heater and air on the 2 floor (2018) ,high efficiency hot water heater some newer flooring. Featuring a grand master suite with walk in closet and master bath. Spacious rooms throughout the home. Wired for surround sound. Central Vacuum System and Security Alarm System, Sprinkler system in the front yard and the back yard. Walkout basement waiting to be finished. Composite deck with vinyl handrails overlooking a beautiful back yard. Perfect to sit and relax with your morning coffee. 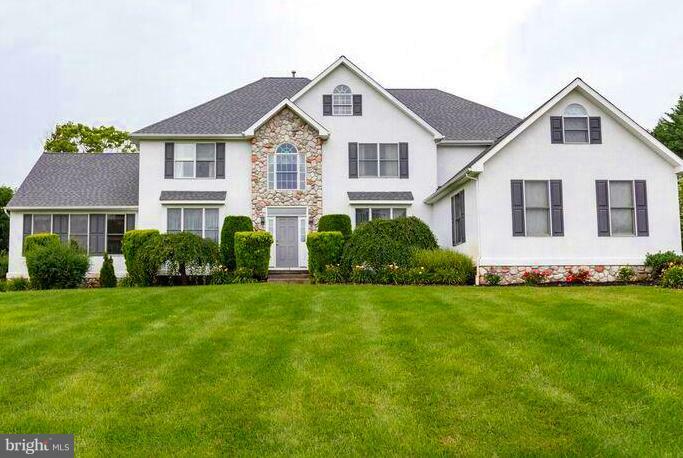 AND located in a desirable school system close to Downtown Swedesboro and Downtown Mullica Hill. Close proximity to Route 295 and the NJ Turnpike! Schedule your appointment today!!!" "Beautiful home in High Hill Estates looking for a new owner who will appreciate all it has to offer. The home welcomes you with a charming front porch. The two story foyer offers hardwood flooring that extends into the chef's kitchen which offers a full stainless steel appliance package, large center island and a sliding glass door to the deck. The kitchen opens into the family room which boasts a lovely gas fireplace. The formal living room and dining room offer additional space for entertaining. The first floor study off the foyer offers endless possibilities including a home office or a playroom. Upstairs you will find four spacious bedrooms including a master suite complete with a sitting room, walk-in closet and master bathroom with garden soaking tub, stall shower and dual sink vanity. Use your imagination to create the perfect space in the full, unfinished walk-out basement." "Welcome to this 55+ gated community in Four Seasons at Weatherby. As you enter this four bedroom three bath 3027sqft Captiva Loft model sitting on a premium lot, you will notice the open foyer and hardwood flooring throughout. Walk through the charming covered front porch and you will be greeted by the dramatic 2 Story Foyer with Atrium 2nd story windows and lots of natural light. There's a double sided fireplace facing living room, dining room, and familyRoom. The Open Concept updated Kitchen feautres granite counter tops with stone back-splash, double oven deluxe, stainless steel appliances, two pantries, breakfast area, recessed lights and bay window. Sun-room has vaulted ceiling and hardwood floor and access to oversize paver stone patio. Main bedroom has bump out sitting area and his and hers walk-in closets. Master bath has separate vanities, shower and Jacuzzi tub and plenty of space. First floor office with hardwood floor and nebbal glass double doors, spacious laundry room with new cabinets for storage. Second floor cozy loft with full bath and two bedrooms and multiple closets. This home comes with a roof Cert, WDI Cert, Heater was just serviced, recently passes the Township's CO, and has already appraised for 356,000! Four Season at Weatherby community clubhouse offer various amenities that include an outdoor swimming pool, tennis courts, multi-purpose rooms, and sports courts." "Come out and see this beautiful spacious home in the fully landscaped Four Seasons Weatherby Gated 55 + Community in Woolwich Township. Underground electric service and the inground sprinkler system, as well as yard maintenance and snow removal, keep the grounds well-manicured. ~Enter this home and you will appreciate the beauty of the Captiva Model Design with its vaulted ceilings, upstairs loft and lots of natural sunlight with easy to care for hardwood flooring throughout.~ The living room has a beautiful double-sided fireplace that services both the living room and family room.~ There is separate formal dining room area, a large kitchen with tall cabinets with lots of storage space, Corian counters with bar seating, as well as an eat in table nook overlooking the family room.~~ Very spacious floor plan on this level of the home with indoor access to your two-car garage that sports a full wall of built in shelving as well as a Garage Tek Storage system to keep you organized.~ Separate first floor office/study and full bath.~The generous first floor master suite has two walk-in closets with the en suite having an unexpected desirable two separate sink areas for convenience and ease of getting ready when more than one person is using this space, plus a shower and giant soaking tub for relaxing at the end of the day. ~First floor laundry is just down the hall from the master.~ The second story boasts a large loft area and two more bedrooms with generous closets and a separate full bath on this level.~~ Bonus sunroom in the back of the home allows easy access to the lovely hardscaped patio area and yard that~s likely to become a favorite spot for evening dinner BBQ~s and watching sunsets now that warmer weather is here and summer around the corner.~ ~With plenty of room for all your things in 3000 square feet home, you won~t have worry about downsizing your possessions for this retirement move!~Located in the heart of Woolwich, close to shopping with fast access to R"
"If you are looking for your bit of heaven on earth, this is is. 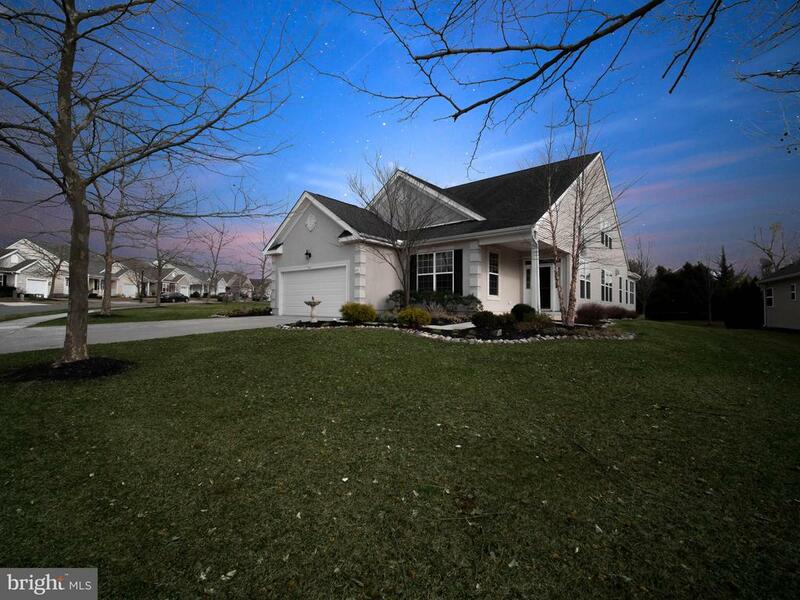 This spacious 2900 square foot home has 4 bedrooms and 2.5 baths. But lets start at the beginning. Beautiful foyer opens up to the an office on the left, formal dinning room on the right, and access to the stairs and hallway. Off the hallway is a bathroom downstairs. Across from the hall is the stairway to the basement complete with a very large greatroom complete with a built in bar. Various other rooms down the basement are just waiting to be finished and used. Returning to the first floor you have a living room that is open to the kitchen. Off of them is access to the sunroom and deck. Off the kitchen is a large mudroom/laundry room and 2 car garage. No fighting the elements to get to the car. Upstairs is complete with 4 bedrooms. The master bedroom has a huge master bath as well as walk in closets. Tree lined driveway brings you past the pool when coming home. Oh, did I forget to mention that the pool has its own bathroom. Or if you prefer, spend some time on the deck or in the sunroom for some special time enjoying the outdoors." "Start Your Life of Leisure Here! This is truly resort style living at home! Why not feel like you are on vacation 365 days a year! The top-notch home for the active adults who don't want to spend every waking hour maintaining a home and want to actually have a life - - this is the place for you. Imagine never mowing grass again.... never shoveling snow again...... Sounds good to me! Instead, you can spend your time at the magnificent clubhouse where you can enjoy Bingo, cards and games, billiard room, Fitness Center and special community events like dances, comedy shows, etc. Just beyond the Clubhouse is the zero entry, salt water pool, tennis/pickle ball courts, bocce and horseshoes. You can be as active as you want with so much to do! The home is magnificent with soaring 10 foot ceilings, ceramic tile entry way and crown moldings. Too many upgrades to mention them all! There is a well-appointed kitchen with ceramic flooring, granite counter tops, 2 large pantrys and a separate eating area just steps away from the cozy family room with gas fireplace and then out to the custom deck with remote controlled, retractable awning. There is also a formal dining room and living room for added space to entertain. The master bedroom has a private bathroom with stall shower, jetted tub and huge walk-in closet. There is a huge full basement with neutral carpeting and a separate storage area - perfect for a game room or man cave! All custom window treatments are included! There is also a walk up attic area over the 2 car garage. Between this area and the storage area in the basement there is plenty of storage! It is also conveniently located to Philadelphia or Delaware. This is the home you wished you lived in and now it can be yours so why are you still reading this! Call for your personal tour today - - tomorrow may be too late!" "REDUCED $31,000!!! WAVERLY MEADOWS!!! END OF CUL DE SAC PRIVATE LOCATION!! !This Recently Freshened up home with New Carpet in All bedrooms, Living, Dining, and Family Room, Freshly Painted and Brand New Stainless Steel Kitchen Appliance Package including 5 Burner Stove and 3 Door Refrigerator.The First floor of this home has a Hardwood floors in Foyer, Kitchen and Breakfast Room. This Cheery Kitchen with Granite Counters expanded Cabinets and expanding to Breakfast room with Vaulted Ceilings, an abundance of window for Natural Sun Light and sliders to oversized yard. The family room right off the Kitchen has a nice Gas Fireplace and opens into the Formal Living room. Off the kitchen is the Dining room. The first floor also has a nice powder room, the Garage entry is off the kitchen in small hallway, and access to the finished basement. The basement has a large finished room that can be used as 2 rooms, with lots of lighting and built in speaker system, the unfinished area is plumbed for a full or partial bathroom, also in unfinished area is Well Purification System, Hot Water Heater and HVAC, also in basement is control piece for CAT5 System and whole house Audio system.The Second Floor has 4 bedrooms, Master bath and hall Bath Laundry room, and Office with 2 Door entry. The whole 2nd floor has New Carpeting. Master bedroom has Bright Bathroom with Roman Tub, Stall shower, Dual Sinks and Convenient Walk In Closet. The 2nd Floor Laundry room has built in Shelving, and a Valued Attic Fan Switch, Finishing off this floor are 3 bedrooms all with 2 Panel doors, and Ceiling Fans in all Bedrooms.This home comes with the Remaining 3 years of Builders Home Warranty. It is Well and Septic and both are just over 6 years old, but only used for about 4 years. The lot size is just over .9 acres of All cleared land. It is Move in Ready"
"Fannie Mae Homepath two story single detached property with four bedrooms, two and half bathroom Colonial style property in average over all condition. Features wood and carpet flooring, modern kitchen, tile bathrooms, open first level floor plan and large rear yard. Centrally located near local schools, dog parks, library and major highways." "WATER FRONT PROPERTY! Set on the lake, adjacent to the park, in Swedesboro's favorite neighborhood, this is the perfect home for the nature lover in you! 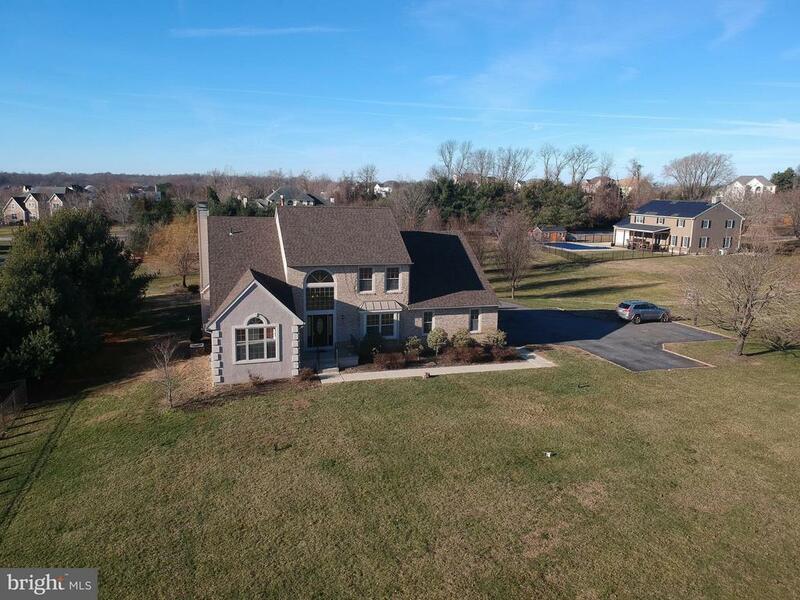 Imagine taking in the best views, right from your own kitchen, or kayaking and fishing in your back yard, but you're still within walking distance from Downtown Swedesboro's shopping and restaurants, and living in a desirable school system! This Expanded and Customized Bi-Level has plenty of space for everyone. The formal living room and dining rooms offer 4 wide Hardwood Flooring; the kitchen offers Custom White cabinetry and Corian Solid Surface Counters, Breakfast Bar, and a custom lighting package; The kitchen / dining room open to a Sun Room overlooking the back deck and the lake. The upper level bedroom wing boasts 3 generously sized bedrooms and a full bathroom. The lower level offers a Den with a Gas Log Fireplace & 18 Marble Flooring; this level can be used as a separate inlaw suite, with a 4th BR, offering a huge 3-Bay Window, overlooking the deck and lake, and Hot Tub area in back yard; this area boasts plenty of closet space, a full bathroom, plus Laundry & Mechanical Rooms. Overlooking the Formal Living & Dining Rooms is the massive Family Room Addition, above the 2 car garage. The family room offers amazing water views, and boasts Hardwood Flooring & Cathedral Ceilings. The side yard offers an amazing in-ground swimming pool, a pool / screen house, fire pit, and the privacy of the 6' vinyl fence, and the pool deck is also overlooking the lake with great views! Don't miss - small private dock with direct lake access!" "Country Living with Comfort and Style! This Spacious 2988 Square Foot Home offers the space that you need with the amenities that you desire. The Stately Home with a full Masonry Stucco Front Facade and quality Andersen Windows sits on a 1 Acre Lot that backs to Open Space. As you enter the home there is a Large 2 Story Foyer with beautiful Ceramic Flooring and plenty of natural light through the large Palladium Window. Formal Living and Dining Rooms flank each side. The Dining Room is graced with Crown Moldings and an Accent Tray Ceiling that sets the room off beautifully. Behind the Dining Room is the Kitchen with Granite Counters and a Large Walk-In Pantry. Hardwood Flooring covers this area as well as the adjacent Breakfast Room with Bay of Windows that look out over the Privacy of the Rear Yard. Next the open floor plan flows into the Family Room complete with a Wood Burning Fireplace to warm up by on those chilly winter nights. Once you had upstairs and check out the Master Suite your decision will made! Enter the Double Doors in to the large 19 X 14 Master Bedroom with Tray Ceiling. Adjacent is a Private Sitting Room with a Wood Burning Stove. Open another set of Double Doors and you will be Amazed as you enter this Fabulous 18 X 17 Master Bath with Dual Sinks, Whirlpool Bath, Full Walk-In Tiled Shower and separate Water Closet. This room has a Soaring Vaulted Ceiling with 2 Skylights that floods the space with Natural Light! Down the hall are 3 more Bedrooms and a Hall Bath with Double Vanity. The Fully Fenced Rear Yard is a great place to relax and the Spacious Trex Deck will surely be one of your favorite spots to enjoy nature! Full Basement with Waterproofing System, 2 Zoned HVAC, and a 2 Car Attached Garage round out this beautiful property!"